"the concept of kendo is to discipline the human character through the application of the principles of the katana"
The dojo summer pool potluck party will be held on Saturday, July 22, 2017 from 3pm to 7pm. The location will be shared during class. Please use the google sheet to coordinate food and drinks. 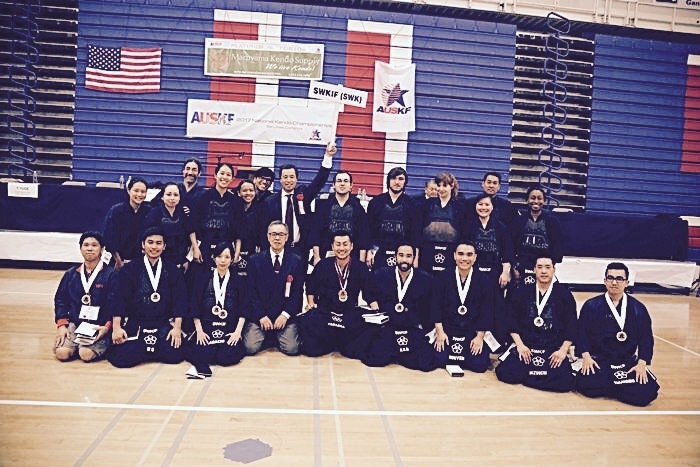 Our dojo is having regular practice on Sunday, July 2 but no practice on Tuesday, July 4. 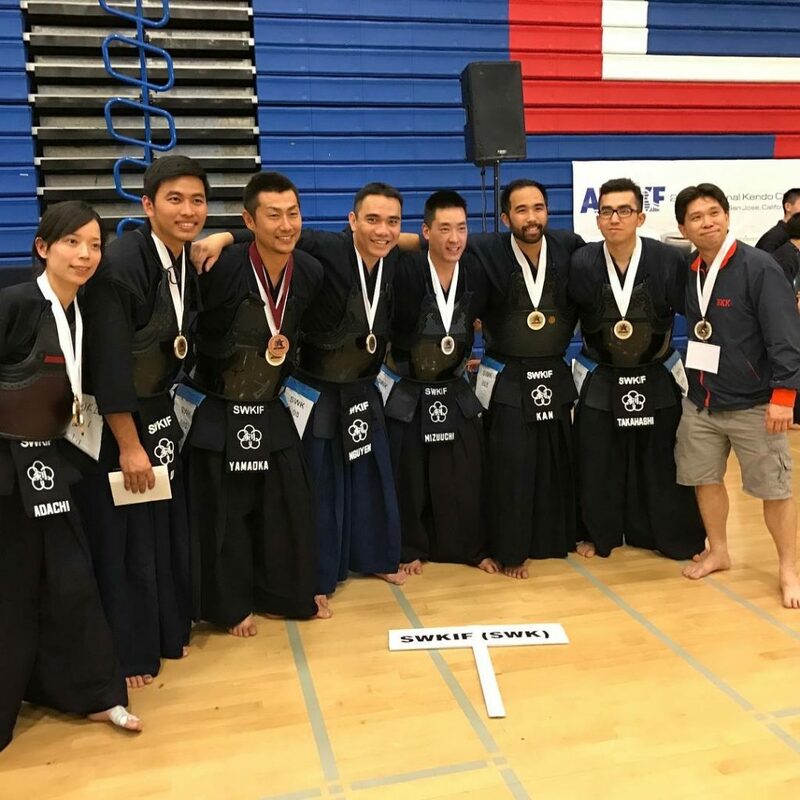 SWKIF Men’s team took 3rd place in the men’s team match at the AUSKF national championship. Makiko Adachi sensei took 3rd place in the women’s individual. Takuro Yamaoka sensei won a kantosho award in Men’s individual. Congratulations! Especially to Nathan Williams from our dojo! Nabeshima Sensei was born on November 19, 1928 in the Goto Islands (五島）located off the western coast of Kyushu, Japan, a part of Nagasaki Prefecture. 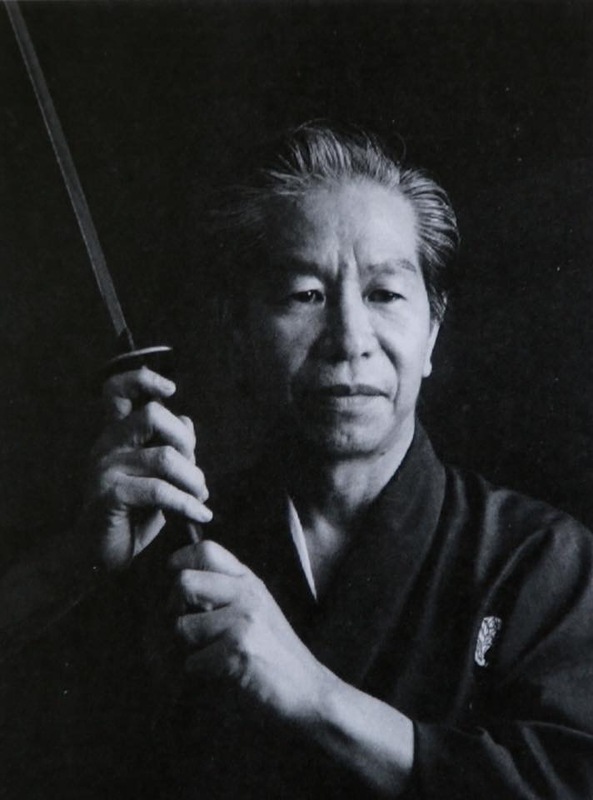 Sensei, an acupuncturist by profession, was instrumental in the development of the Dallas Kendo Dojo, later to become the Dallas-Fort Worth Kendo and Iaido Kyokai. His body will be cremated on June 11, and his ashes will be taken to Nagasaki, where a memorial service is currently being discussed. The dojo will also be planning a memorial Keiko soon. Let our thoughts go out to his family including his daughter Keiko and son-in-law Russell Ichimura Sensei. 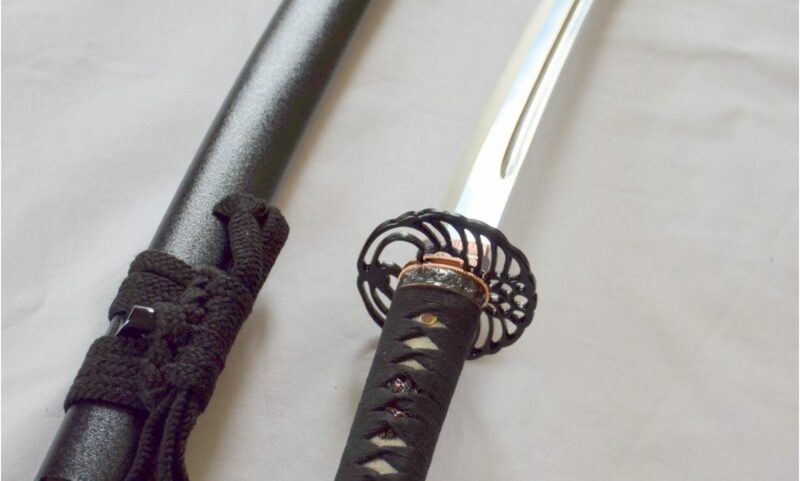 In preparation for the coming iaido national, our Tuesday June 6 practice will be iaido only. Next Tuesday June 13 practice will be kendo only.